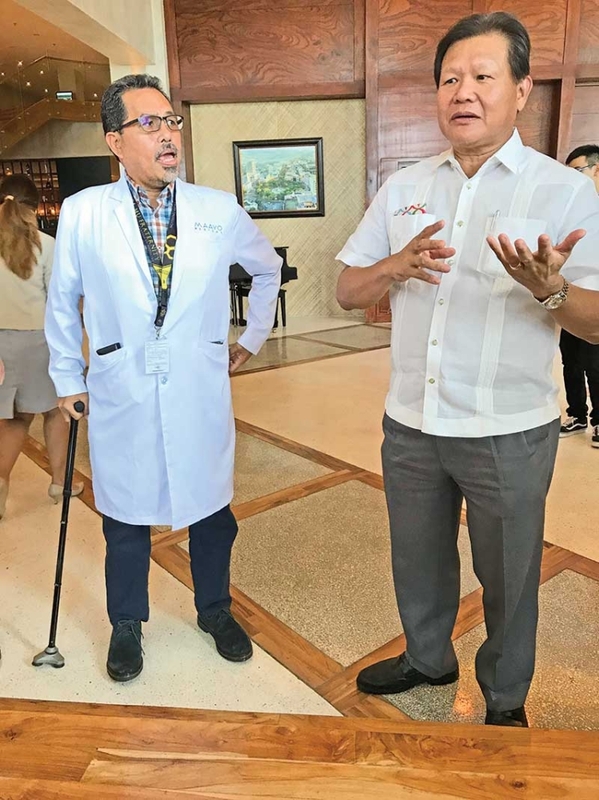 I’VE been hearing a lot about medical tourism, I have been toured in state-of-the-art technology facilities said to be designed to put an existing hospital in the medical tourism track, even my very good friend, fellow birder, and former Department of Tourism Regional Director Robby Alabado has been re-assigned to head medical tourism. But “pramis”, once you’ve seen Maayo Well in Mandaue City, Cebu, you will realize that you have not even scraped the basic meaning of this fast-growing sector in tourism projected to grow by up to 25% “year-over-year for the next 10 years, as estimated by Visa and Oxford Economics in its Global 2016 Medical Tourism Index. “Embodying a perfect balance of wellness and hospitality, Maayo Hotel and Maayo Well are two establishments that form Cebu’s very first 4-star hotel and wellness complex that offers top-of-the-line hotel services, world-class integrative medicine, and professional aesthetic services aimed at exemplifying the essence of what staying well truly means,” Maayo Well and Maayo Hotel’s press release reads. But there’s more than what these words say. Think, no paging system, no occasional beeps marking emergencies cases, not even the sound of sirens, and most of all no doctors rushing to and from, that sends people like me who have a very strong aversion to hospital facilities bouncing off walls. You have to see their Triage area. It looked more like a hotel lobby than anything else, and more. Gush some more as you listen to Primary Group of Builders (the mother company of the Maayo facilities) chief executive officer William U. Liu Jr.’s vision on wellness and tourism and human resources development. With a group of companies that have around 4,000 employees, all smiling and thankful, you get an idea about the ecosystem of growth, development, and personal commitment this group imbibes in its people and officers. Engr. Liu is proudly Filipino and intends to push all the positives about the Filipino to the fore through their venture into the tourism and medical tourism industry. “You go to other countries and you get the best health services from Filipinos, why not keep them here and develop a brain gain?” he told a group of journalists and bloggers brought in to tour their facilities. There were a lot of other insights and wisdom he shared, it will take more that this space to talk about this. So, let’s just introduce you to the physical specifications of the facilities. Maayo Hotel features 229 comfortable guest rooms designed for relaxation and solace. It has an infinity pool at its deck that gives you a panoramic view of the city. The food outs Filipino at a different level, where you get to experience Asian cuisine raised to the global standards without losing identity... and taste. Adjacent to the hotel is Maayo Well, a seven-floor facility that houses modern outpatient clinics which offer both wellness and aesthetic services. Having just opened last year, it offers hydro facial, lightening or age-defying facial, body toning Discovery PICO treatment, body-contouring Exilis, restorative dentistry, oral prophylaxis, rejuvenating health drips and infusions. But it’s total wellness and cure for you with laboratory and radiology facilities, pharmacy, triage, ENT-HNS (EPIC), cardiovascular, diabetes care, Aces Eye Referral Clinics, Women’s Health, Men’s Health, Live Wellness, Nutrition Services, Day surgery, endoscopy, bronchoscopy, hemodialysis, orthotics and prosthetics, and aquatic therapy and rehabilitation, and in the works is the oncology unit that will include cryotherapy... and more. Suffice it to say that people with an aversion to hospitals will feel right at home here, and coming from someone who has had the history of getting healed upon just entering for a consultation due to sheer terror, that is saying a lot. Maayo is at Plaridel Street, Mandaue City, Cebu, Philippines with numbers (+6332) 517 0200 / (+63) 935 214 7224. Visit their website to learn more: www.maayohotels.com.